The last few landfalls haven’t exactly been our actual destinations, although they’ve been delightful stop-overs. I think you could chalk it up to the fierce Christmas winds and more importantly a particularly nasty sea state caused by those winds. Over and over we’re hearing passage stories, on the Coconut Net and email, of tough going and truncated cruises, while some of our friends seem to find weather windows that somehow work for them, and are making good progress. 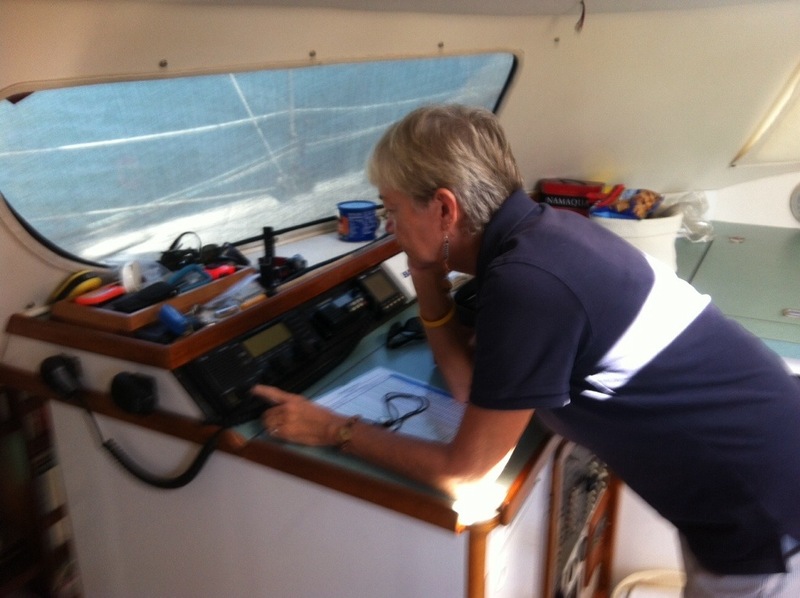 BTW Marce has managed to coax meaningful sounds from our enigma box, better known as our SSB/ham radio and this morning we heard on the Coconut Net four friends’ boats, one of which we probably passed on our way over to Culebra from St Croix. 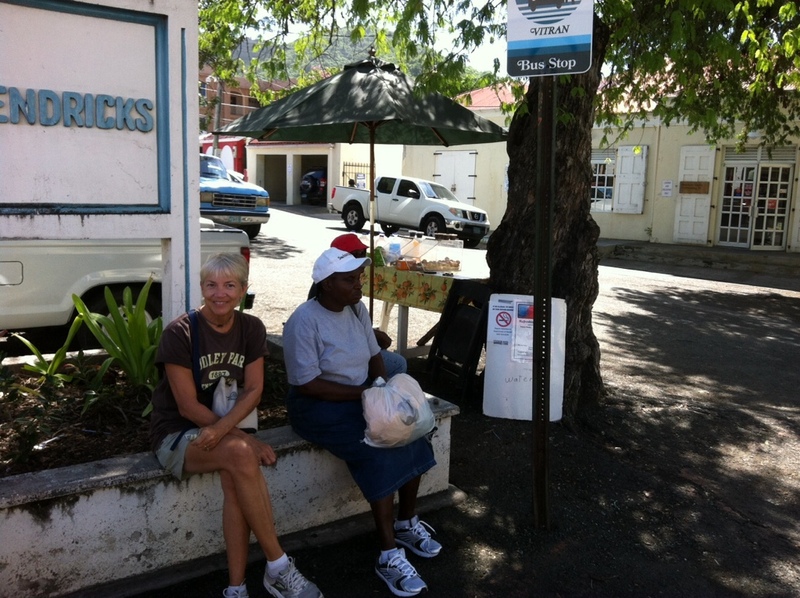 Our last day in St Croix was spent provisioning at a Costco-like box store called Cost U Less which meant a bit of waiting under the tamarind tree for the bus that doesn’t have a schedule but only costs $1.00US and you just tell the driver where you want to go. Charming Island, St. Croix. This new plan B pit stop was a place that everyone said not to miss, but due to an early morning rain squall, which we waited out, we found ourselves near Culebra at about 1530hrs and decided to duck in out of the gale that was blowing. 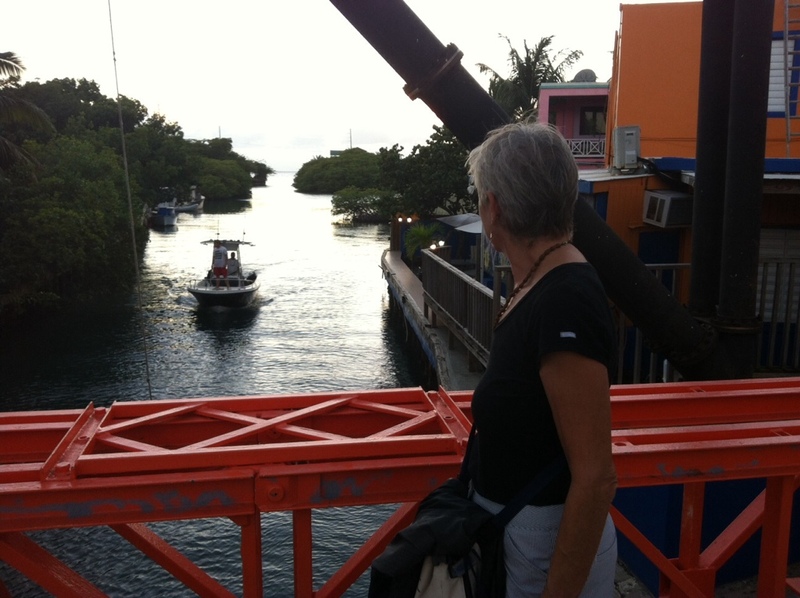 We found a comfortable picturesque harbor with good holding and no bouncing inside Culebra’s Dewey Harbor. We dropped Catnip and after searching the harbor with binoculars I found The Dinghy Dock Restaurant and it appeared to be open on a Sunday so what’s a sailor to do? Marce thought we could do better in town but a quick reconnoiter found the town asleep so it was back to the Dinghy Dock for dinner which turned out great. That’s rare for a waterside bar. We had a tip from What If that Zaco’s Tacos was a must so it was time for another plan B. 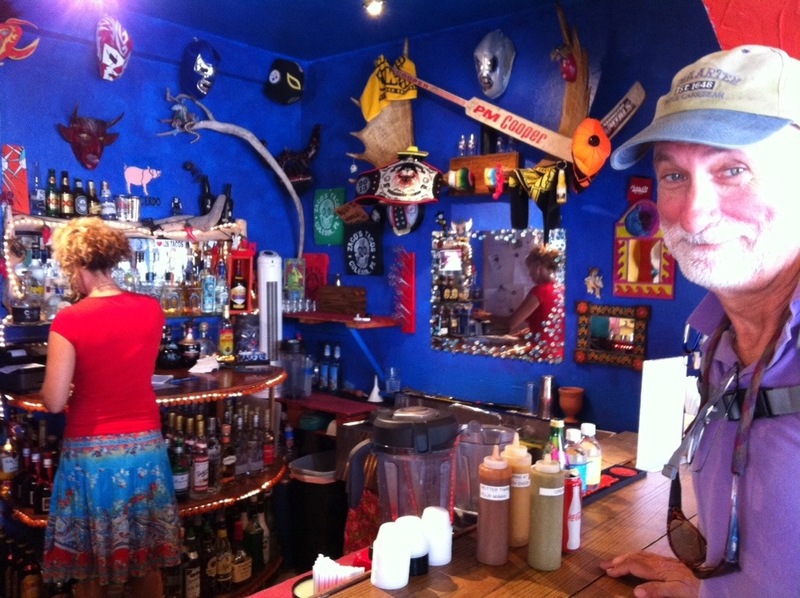 Tomorrow at noon Zaco’s would open so Monday morning it would be a one mile forced march to the aeropuerto to officially check in and Zaco’s for lunch. From the look on Marces’ face it was well worth it and those eagle eyed Escapees will notice an official Steelers Terrible Towel behind the bar! 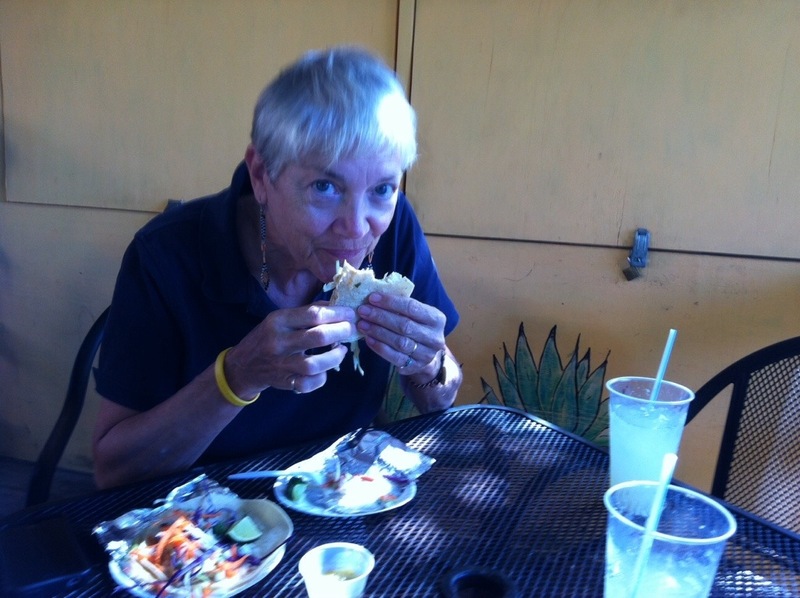 Try the pork belly taco or Marces favorite, blackened tofu. In the meantime we have to hustle over to Puerto Rico proper to finish the rigging which should be winging its way toward these parts and my sister is there for work right now so I gotta go!